“400 Minutes” is a campaigning initiative. With a single goal. To bring Lagos and Frankfurt closer together. As twinned cities. For the mutual benefit of both. To strengthen the ties between the cities, between the people who live in them, teach in them, do business in them, perform in them. Because the two cities have a great deal in common – even if not always at first sight.Because the two cities are already linked in countless ways – even if unknown to many. Because things that belong together – should be brought together. A group of private individuals. Brought together because, when Jeremy voiced the idea of city twinning, they all felt this was something that long been waiting to happen. A group of professionals from different walks of life. United in the belief that Lagos and Frankfurt should be twinned. For countless different reasons. Jeremy is a long-standing expert on Nigeria, having been the Coordinator of the Nigerian German Energy Partnership for the last ten years. In addition to his work as a writer on issues of sustainability, urban planning, vocational training and renewable energy in the West African context, among other things, he organized Intellectual Live Aid in Berlin to promote campaigning for Africa. He is currently Managing Director of a Nigerian-German joint venture in the solar energy space. Christian is a widely-acknowledged expert and keynote speaker on business and finance in Africa, with a strong track record of expertise as a financial and business journalist, an extensive international network, and a profound understanding of the African economy. He has published a bestselling book on the subject of African development, set up the Africa Partners GmbH consultancy and founded the “Afrika-Runde”, a high-level regular platform for business meetings between Europe and Africa in Frankfurt. He is a member of various advisory boards and high-level think-tanks. Stephan can look back on a distinguished career in Frankfurt’s Criminal Investigation Dept., where he was also for many years the staff representative attached to Police HQ. 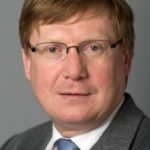 At the same time, he has since his youth been a leading member of the CDU, the German conservative party, and in that capacity has since 1997 been an elected member of Frankfurt’s City Council. In 2014 he was appointed President of the City Council. Among many honorary and charitable positions, he is a Vice President of Fußballsportverein Frankfurt 1899 e.V., one of Frankfurt’s most renowned football clubs. Baki has had a career that has spanned various aspects of investment banking, personal wealth management and banking digitization. 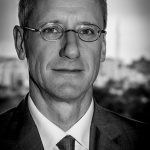 Steps along the way saw him in executive positions in such august institutions as Commerzbank, ABN AMRO, and Global Head of Digital Business for Deutsche Bank‘s Asset & Wealth Management division (DWS) and a Member of the Global ExCO. Baki is a member of the advisory boards of various charitable organizations, and a co-founder of the “Afrika Runde”. He is currently bringing his focus on digitization and internationalization to bear in an effort to extend Frankfurt’s reach. In this capacity he co-founded Qthortiy and The Digital Leaders Fund, both based in Frankfurt. 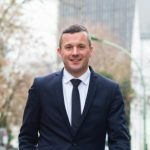 Stefan is a consultant, certified business coach and co-founder of R3LATION GmbH. His major strengths are forging links at the decision-making level and establishing dialogue formats. Through a variety of platforms, he initiates connections and places issues with top decision-makers from business, politics, and science. His guests in recent years have included among others the German President, the German Chancellor, the State of Hessen Prime Minister, and many celebrities from many walks of life. 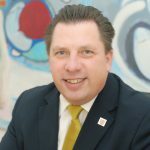 He is the pro bono founder and chairman of the Montagsgesellschaft e.V., a registered platform for civil participation in Frankfurt and Hamburg.